1967. Peter Piot (1), then a young Belgian microbiologist, received in his laboratory in Antwerp, Belgium, a cooled shipment from Kinshasa, the capital of what was then Zaire, now The Democratic Republic of The Congo. Frozen test tubes containing blood samples from a Flemish nun who had died of a rare hemorrhagic fever were flown to Piot’s laboratory. The nun was one of two hundred people, including health workers, who had died over a three-week period in Yambuku, a remote village near the Ebola River. Tests were negative for all known viruses causing hemorrhagic fever, such as Lassa virus, Marburg and dengue fever. On finding no evidence of known viruses in the samples it was inferred that the causative organism was destroyed during the flight from Zaire. However, mice were injected with samples from the test tubes. After one or two weeks, the animals began to die, demonstrating that the infectious agent had survived the plane trip, and careless subsequent handling. In the 1970s there were only three laboratories outside the former Soviet Union with the technology for handling deadly virus. These were: Porton Down, near London, Fort Detrick, a military base in Maryland, and what is now the Center for Disease Control and Prevention (better known by its acronym CDC) in Atlanta. The World Health Organization suggested to Belgian microbiologists that they should sent samples to the laboratory in London, who, in turn, would send them to the CDC, the World Reference Laboratory in the study and manipulation of hemorrhagic viruses. However, the Belgian microbiologists kept samples for later studies. Their observations under an electron microscope showed that it was a new virus, which was elongated and was enormous compared to common viruses. Studies conducted at the CDC in Atlanta and in Antwerp (Belgium) came to the same conclusion: it was a new virus that was given the name of the river in Zaire where it was discovered: the Ebola virus. This intriguing scientific puzzle caused ​​American, French and South African scientist to move to Zaire in search of the mysterious virus. The Belgian government, reluctant at first, eventually approved a budget to enable Peter Piot and his colleagues to continue their fieldwork in the old "Belgian Congo". Five years later, in 1981, Peter Piot and his colleagues began to examine patients, both Africans, and Europeans settled in central Africa who were dying of pneumonia caused by atypical pathogens. At the same time, a similar clinical picture began to proliferate in the gay community in California, United States. In America, the deadly pneumonia affected gay men almost exclusively, whereas in Central Africa it manifested itself in both men and women. In time, after several name changes, it was decided that it would be called the human immunodeficiency virus (2). While the H.I.V. continued to expand in the way we all know, the Ebola virus, after a small outbreak in Sudan, disappeared again into the heart of the rainforest. The Ebola virus, along with other viruses (smallpox –guarded in high security laboratories- anthrax, botulism, plague, and tularemia) is considered a potential bioterror weapon by the federal government of the United States. There is a precedent for deliberate attempts to use it as such. In 1995, following an outbreak in Zaire, a Japanese terrorist cult carried out an attack with "nerve gas" (sarin ) in the Tokyo subway, killing 13 people. The leader of the sect, Aum Shinrikyo, later sentenced to death and executed in Japan, had traveled to Zaire under the protection of a humanitarian organization. His goal was to get a sample of the Ebola virus. He failed in his mission, and finally the Japanese terrorist attack was carried out with "nerve gas". The former Soviet Union had also tried to develop a biological weapon using the Ebola virus (3). However, technical difficulties and the accidental death of the project leader, after accidentally pricking himself with a syringe, led to a change of direction, and further research into the Marburg virus, a hemorrhagic virus also closely related to the Ebola virus. Two characteristics make the use of the Ebola virus as a biological weapon difficult. On one hand, the incubation period is variable, between 2 and 21 days, and the person cannot transmit the virus until he or she has acute symptoms. Moreover, it is not transmitted by air, but requires a direct contact with the patient’s body fluids. *: In 1997, Zaire changes its name to The Democratic Republic of the Congo. The first drug used in the treatment of infection by the Ebola virus is known as ZMapp®. It is a serum comprising three humanized monoclonal antibodies produced by the tobacco plant. Initially, monoclonal antibodies (6) are obtained from transgenic mice. The genes encoding these antibodies are inserted into the genome of the leaves of the tobacco plant, using sophisticated technology developed by the German company Icon Genetics. ZMapp® has been developed by two companies, Mapp Pharmaceuticals (San Diego, California, USA), and Defyrus (Toronto, Canada) with funding from the US federal government and the Canadian Public Health Agency. However the production of ZMapp® depends on Reynolds American, the owner of the tobacco plantation in Owensboro, Kentucky. In addition to ZMapp®, the Food and Drug Administration (FDA) has approved a second drug under consideration by IND (Investigational New Drug Application). This drug, developed by Tekmira Pharmaceuticals (Vancouver, Canada) was in the early stages of human clinical trial. The trial was interrupted (July 2014) due to significant adverse side effects. Previously it had been tested on rhesus monkeys infected by the Ebola-Zaire serotype, with an efficiency of 100% (4). 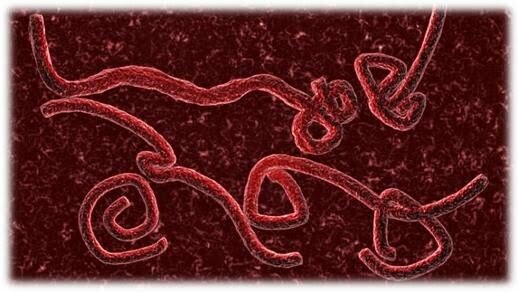 This drug, called TKM-Ebola®, acts by disconnecting virus genes using a technique called RNA interference (5). The vaccine against the Ebola virus, called VSV-EBOL®, was developed in 2004 in Winnipeg, Canada, with funds from the Canadian Public Health Agency. Between 800 and 1,000 doses were prepared. The rights to the vaccine were sold to NewLinks Genetics (Ames, Iowa, United States). Early tests on monkeys demonstrated 100% protection. However, further development of the vaccine for humans was paralyzed due to a lack of interest in 2004, when the infection was confined to remote regions of the Central African rainforest. The vaccine is designed using the vesicular stomatitis virus, VSV), which causes an oral infection in cattle, but very rarely affects humans. This virus has already been used in the preparation of other vaccines. The procedure is to remove one of the VSV genes to decrease its virulence. Then the Ebola virus gene is inserted. The modified virus begins to produce a protein of the Ebola virus which is expressed on the surface of the VSV. These proteins are not infectious, but trigger the immune response. The Canadian government has delivered doses of VSV-EBOL® to the World Health Organization. On writing this article (October 31, 2014) trials in healthy volunteers have already commenced. After the diabolical and devastating epidemic of the Ebola virus in some West African countries, the virus encompasses all the contradictions of a nightmare: it remains active even after the patient dies; it is simple in its complexity; it is enigmatic and prophetic; it is able to anticipate our strategies in all cases. Thousands of Africans have died from infection of this hemorrhagic virus. From the West we express our heartfelt sympathy, but we are ineffective against this and other Leviathans that afflict the African continent, and act with unbridled hysteria when we feel the danger approaching. The panic about the disease stems from a paradox of modern life: we do not know how to deal with a threat that we cannot foresee, understand or control using our modern science and technology. We live in an increasingly safer society, but we pay a high price for not knowing how to address uncertainties. In our rational and scientific world there is no place for the unknown, even if our fiendish foe is invisible. In a recent statement, Peter Piot stated that in his opinion "more viruses like Ebola will emerge, or be discovered." Maybe they have always been there, lurking in the depths of the Heart of Darkness. 1. Piot P. No Time to Lose. A Life in Pursuit of Deadly Viruses. Edit: Pema Chöndrön 2012. 2. López Tricas, JM. La larga ruta del virus del SIDA. http://www.info-farmacia.com/recomendaciones-bibliograficas/textos-cientificos/la-larga-ruta-del-virus-del-sida-1. In: www.info-farmacia.com. Consult: October 2014. 3. Zilinskas, R.A. The Soviet Biological Weapons Program: A History. Harvard University Press 2012. 4. Geisbert, et al. Postexposure protection of non-human primates against a lethal Ebola virus challenge with RNA interference: a proof-of-concept study. Lancet 2010; 375: 1896-1905. 6. López Tricas, JM. Anticuerpos monoclonales año 1979. http://www.info-farmacia.com/historia/anticuerpos-monoclonales-ano-1979. In: www.info-farmacia.com. Consult: October 2014. 7. López Tricas, JM. 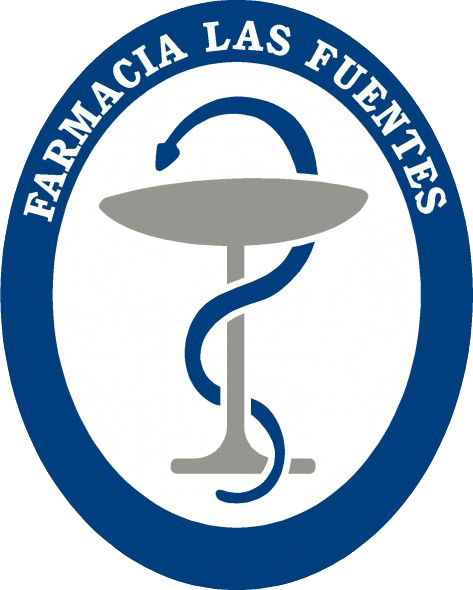 http://www.info-farmacia.com/historia/armas-quimicas. In: www.info-farmacia.com. Consult: October 2014.